I call John (editor’s note: City Paper decided to omit John’s last name and the names of his girlfriend and daughter to keep them relatively anonymous), we have a quick conversation, the gist of which is that he’s trying to get his mother’s house to detox from his chronic heroin use. His girlfriend, who was also a habitual heroin user, left town with their daughter and he’s going to join them and shake off his habit. What a story, but what about the money? Well, John has none. However, his mother, whose house he’ll be staying at in Myrtle Beach, will happily pay me for the trip when we get there. “I’ve never been that kind of person to screw people over. I’ll screw myself over. I’ll get high and ruin my life,” he said, in hopes of persuading me. It’s clear that this is a trip of necessity and that he’s not in the least bit interested in the warm climate, sand, and leisure of Myrtle Beach. His resolution to shake his addiction feels genuine and although I could be getting played, I agree to drive John to South Carolina. I rideshare on the side and before this I was a cab driver—in this gig economy, I’ll take someone down to Myrtle Beach if the money is right and especially if I can help him get his life in order. John’s late. I have been sitting in my car for 20 minutes in old Dundalk waiting when a slender white guy in a T-shirt and camouflage pants walks up. “Hey bud, sorry man. I had to stop up the Farm store,” he says. 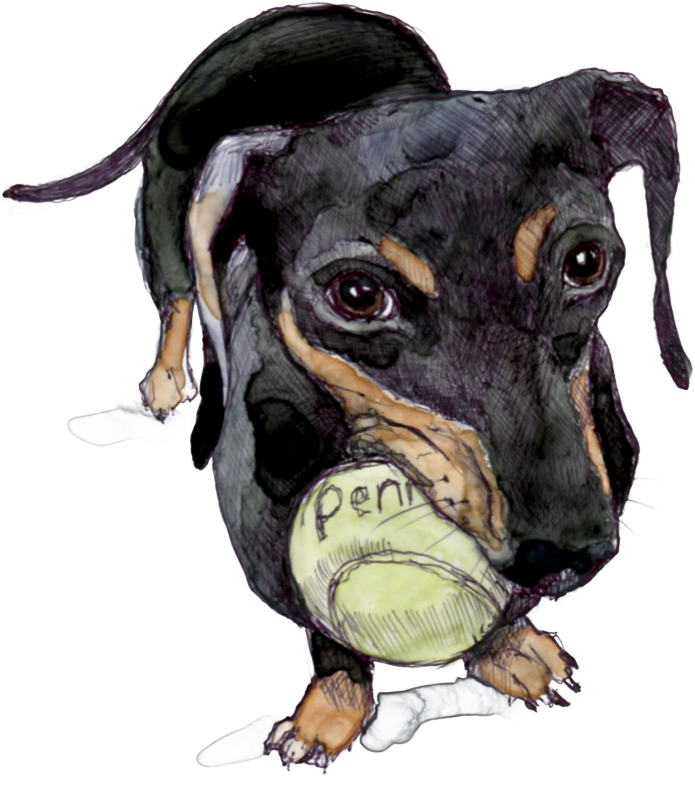 We walk into his house and I hear the distinct barking of a small dog—a lively Dachshund shuffles around with a tennis ball in her mouth. “Her name’s Sissy. She’s a lovable, good dog, but she’s very protective,” John says as he walks through a small, nearly empty apartment converted from a single-family home’s bottom floor. He steps over a pile of blankets as a television blares “Let’s Make Deal.” Sissy follows, looking up at him the whole time, her jaws still clenching the ball. He hastily fills a small tote and the room is mostly spartan, save for scattered toys, blocks, and a few children’s books. He’s talking but I can’t hear him over “Let’s Make a Deal,” Wayne Brady yapping at some contestant dressed as a pine tree car air freshener. “Sorry for running so late. I’m just bringing a few things down there,” John says. Another 20 minutes later, my tiny Prius is filled to the gills with boxes, garbage bags of clothes. “She won’t get into nothing. We might need to stop once or twice to let her pee or something,” he says. Sissy lies between us, somehow balanced between the edge of my seat and John’s seat for the whole trip. Before we hit the highway we stop at Royal Farms again. 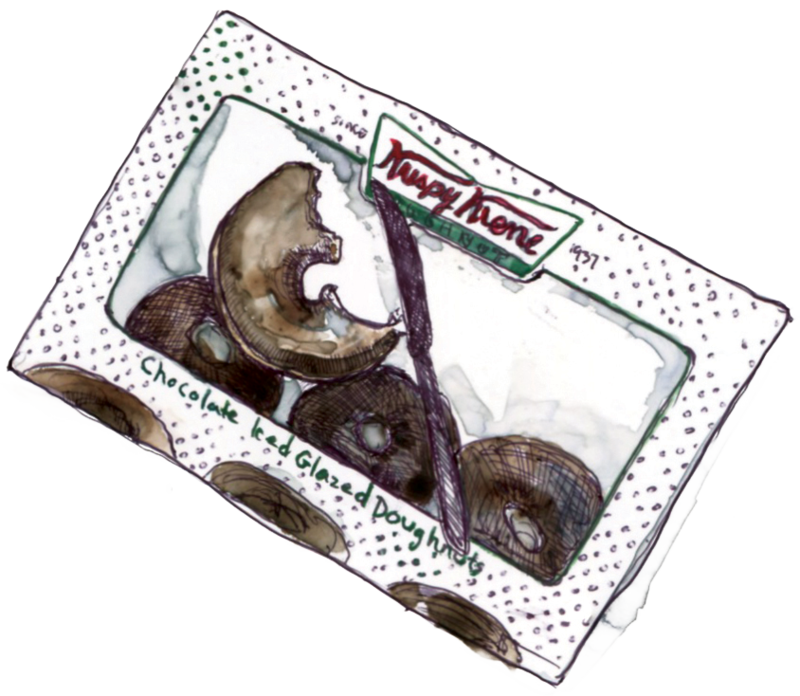 John has a box of Krispy Kreme donuts open on his lap and plows through several of them, scraping every molecule of the chocolate icing from the top with a plastic knife. The first half hour of our trip is marked by an awkward silence. 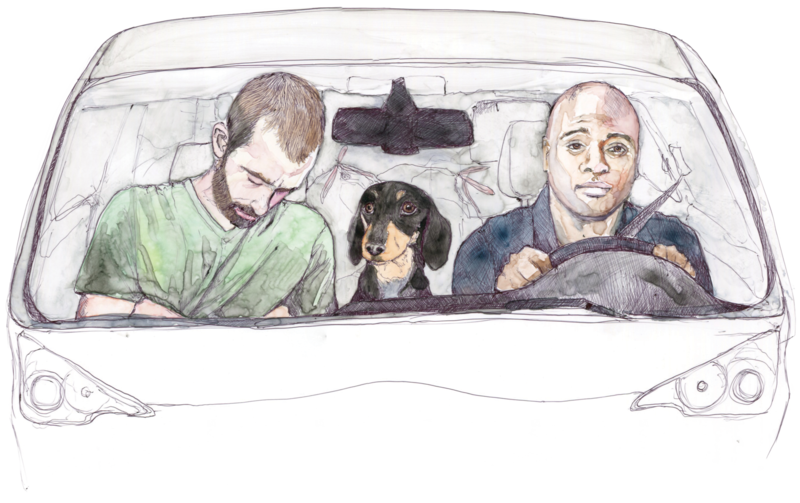 I break the ice by asking how he was making ends meet—earlier he’d told me he wasn’t working. Soon we get to talking about his heroin use and how long he has struggled with it. He sets the box of donuts on the dashboard and begins to reflect. His mother, who John describes as “more of a friend that took care of me than a mother,” was a regular associate of the Pagans, a notorious One Percenter motorcycle club. The further south on 95 we travel, the more of the sun we see. It matches the high energy in John’s voice as he talks about what he calls his “heydays.” From the time he started selling coke until his early 30s were the best times for him. He smoked, drank, and occasionally took a bump of coke himself, but he avoided addiction, lived the good life, and made a lot of money. I ask him how much money he made. John straightens himself in his seat, drawing Sissy’s eye as she wags her tail. He begins to brag. Mid-story, he asks to make a stop so he and Sissy could pee. I pull into a Wawa in the middle of Virginia. “I’m going to let Sissy pee and make a phone call real quick,” John says right before jumping out of the car with Sissy in his arm. He takes her to a grassy median between the store parking lot and the street. I grab a snack, hit the bathroom, and head back to the car and wait for John, who is in a heated conversation. Finally, he returns to the car, still on the phone. “I figured yous would be happy I was coming. I just wanted to show up and surprise you,” he says to whoever is on the other end of the phone. He ends the call and tells me he’s actually surprising his daughter, his girlfriend, and his mother. 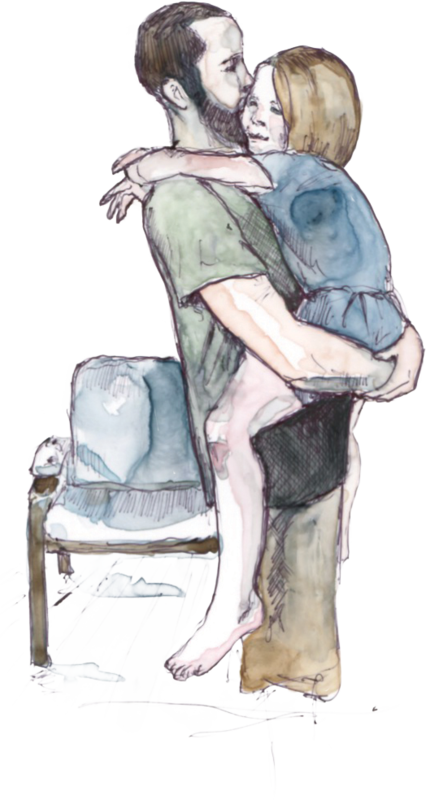 He says his mother is most likely tired because she’s been taking care of John’s girlfriend and daughter as his girlfriend detoxes. He reassures me that I will still get paid despite his mother’s displeasure with his unexpected arrival. As we get back on the road, John looks mighty pale in the face and is sweating heavily. I assume he’s spent and has had enough of his reflecting with me so I tell him he could drop the subject if he wanted. He rejects my offer and continues to divulge the incidents and circumstances that led him to the front seat of my car. Along with dealing, John says he had been doing construction and home improvement for most of his adult life, so it was a relatively easy transition, until he got addicted. From there he dove deeper. He says he was hanging out with a friend of his mother’s one night and they decided to get heroin and get high. We cross over into North Carolina, the sun’s a few hours past its peak and daylight’s fading and so is John. My air conditioner is blasting but John asks me to raise the temperature. He’s cold, he says. John slowly grabs a Coca-Cola and pulls a few pills from a small ziplock bag. He says that they are just to make him feel better. I’m not sure what the pills are but considering the rectangular “bar” shape, it’s presumably Xanax. John says most people who get locked into that sick cycle never to escape. He says Baltimore clinics hurt more than help and that heroin is too ubiquitous in Baltimore to stay. For the rest of the trip in South Carolina, John is mostly silent, though he keeps asking me to stop so he can go to the bathroom and requesting that I raise the temperature in my car, and eventually he falls asleep. It’s dark when we pull into his mom’s neighborhood full of neat and trim lawns, single family homes dwarfed by pine and palm trees, and a couple of kids riding their bikes. We have arrived. “We are here, bro,” I tell John, who slowly wakes up. Sissy jumps out of the car and runs to the front door as if she’d been here before. John walks into the house with me right behind him. John picks her up and gives her a kiss. “Hi. How was the ride down here?” John’s mother asks me. I tell her it wasn’t bad, trying to make small talk. “You are welcomed to some tacos if you want,” she says and points to a container of ground beef and a tray of hard taco shells and toppings. John goes to my car to carry his things in and his mom asks more about the trip and how we met. I tell her. “How much did he say he was going to give you?” John’s mother asks while pulling money from her wallet. I’m surprised John even communicated our agreement to his mom and I’m stunned she is giving me money. I go out and help John unload my car and say goodbye. “You are more than welcomed to stay the night here and head out in the morning,” John’s mother says. John and I do one of those hand-shake half-hug things. His embrace is half-hearted and he seems distant. Two weeks later, I call to check up on John. I want to see how he’s doing. I had briefly discussed writing about our ride and about him and want to make sure he’s still OK with it all. His girlfriend answers the phone. John’s asleep, but we start talking. She says her recovery was rough also, but now she can clearly reflect on what she and John have done over the years. He says the hospital told him his blood was toxic and he had a urinary tract infection. For a while, he didn’t eat. He couldn’t remember the seizures from the first few days, but when he saw a “knot” on his head, realizing he’d fallen, he decided he’d listen to his doctors.